Isaiah 40:12 – Who has measured the waters in the hollow of his hand and marked off the heavens with a span, enclosed the dust of the earth in a measure, and weighed the mountains in scales and the hills in a balance? 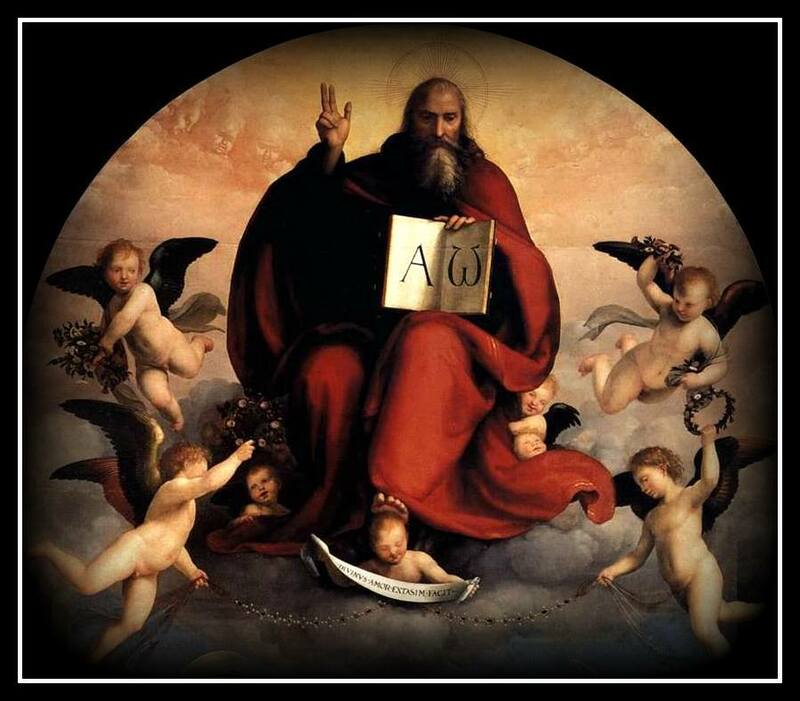 Amos 5:8 – Seek him that makes the seven stars and Orion, and turns the shadow of death into the morning, and makes the day dark with night: that calls for the waters of the sea, and pours them out upon the face of the earth: the LORD is his name. Psalm 24:1-2 – The earth is the LORD’s and all that is in it, the world, and those who live in it; for God has founded it on the seas, and established it on the rivers. Job 28:10 – He cuts out rivers among the rocks; and his eye sees every precious thing. Ecclesiastes 1:7 – All the rivers run into the sea; yet the sea is not full; unto the place from whence the rivers come, thither they return again. Psalm 104:24-30 – O LORD, how manifold are your works! In wisdom you have made them all; the earth is full of your creatures. Yonder is the sea, great and wide, creeping things innumerable are there, living things both small and great. There go the ships, and Leviathan that you formed to sport in it. These all look to you to give them their food in due season; when you give to them, they gather it up; when you open your hand, they are filled with good things. When you hide your face, they are dismayed; when you take away their breath, they die and return to their dust. When you send forth your spirit, they are created; and you renew the face of the ground. Psalm 65:5-13 – By awesome deeds you answer us with deliverance, O God of our salvation; you are the hope of all the ends of the earth and of the farthest seas. By your strength you established the mountains; you are girded with might. You silence the roaring of the seas, the roaring of their waves, the tumult of the peoples. Those who live at earth’s farthest bounds are awed by your signs; you make the gateways of the morning and the evening shout for joy. You visit the earth and water it, you greatly enrich it; the river of God is full of water; you provide the people with grain, for so you have prepared it. You water its furrows abundantly, settling its ridges, softening it with showers, and blessing its growth. You crown the year with your bounty; your wagon tracks overflow with richness. The pastures of the wilderness overflow, the hills gird themselves with joy, the meadows clothe themselves with flocks, the valleys deck themselves with grain, they shout and sing together for joy. Psalm 104:14-21 – You cause the grass to grow for the cattle, and plants for people to use, to bring forth food from the earth, and wine to gladden the human heart, oil to make the face shine, and bread to strengthen the human heart. The trees of the LORD are watered abundantly, the cedars of Lebanon that he planted. In them the birds build their nests; the stork has its home in the fir trees. The high mountains are for the wild goats; the rocks are a refuge for the coneys. You have made the moon to mark the seasons; the sun knows its time for setting. You make darkness, and it is night, when all the animals of the forest come creeping out. The young lions roar for their prey, seeking their food from God. Job 12:10 – In his hand is the life of every creature and the breath of all mankind. Jeremiah 32:17 – Ah Lord GOD! behold, thou hast made the heaven and the earth by thy great power and stretched out arm, and there is nothing too hard for thee.